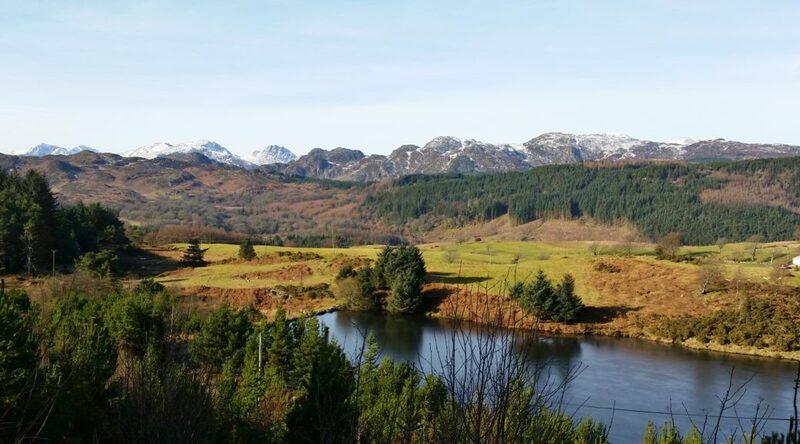 We’ll catch the bus to Gwydir (just 1.5 miles from Trefriw), then the route heads up from Gwydir Uchaf to Llyn Parc, with elevated views over the Conwy valley, then over to Nant Bwlch-yr-haearn, from where it’s possible (in good visibility) to spot nine 3000′ peaks. 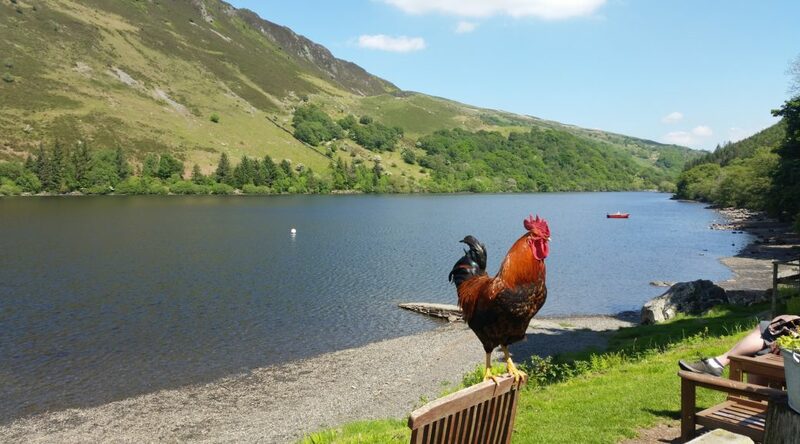 We pass the lovely lakes of Llyn Bwlch y Gwynt and Llyn Glangors, each offering their own views over to the mountains, then back to Trefriw via Llyn Geirionydd and above the Crafnant valley. 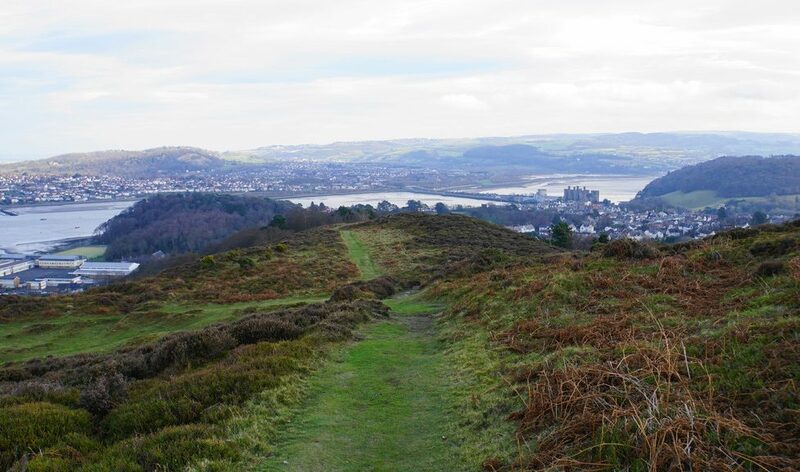 The minibus will take us to Pen y Gaer, an Iron Age fort overlooking the Conwy Valley, from where we’ll walk to the sea at Conwy. 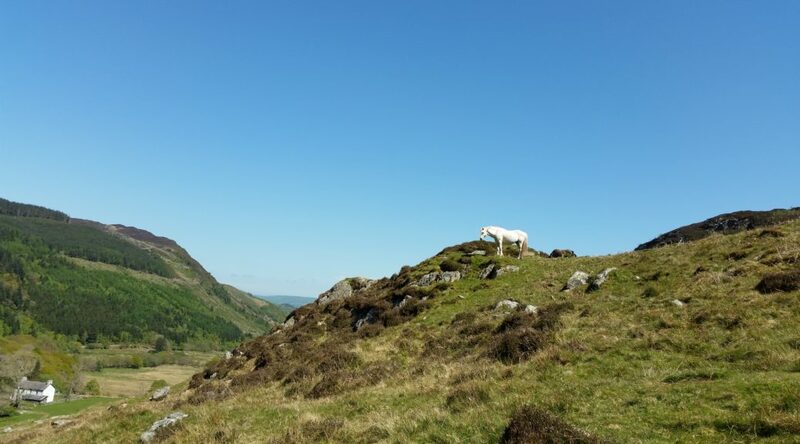 Initially we pass through an area of ancient standing stones and burial chambers, to then follow part of the North Wales Path to Sychnant Pass before descending over Conwy mountain. And once there, hopefully there’ll be time for an ice cream on the quay, if we fancy it, before the minibus returns us to Trefriw, in time for our now-legendary Cake Fest at 4 p.m.! The walk will reward us with splendid views. Duration: A full day. Please bring a packed lunch and plenty to drink. Grade: Moderate. Remember that it can be cold in the Carneddau foothills, even in May. Please ensure that you have warm, waterproof clothing and good boots. 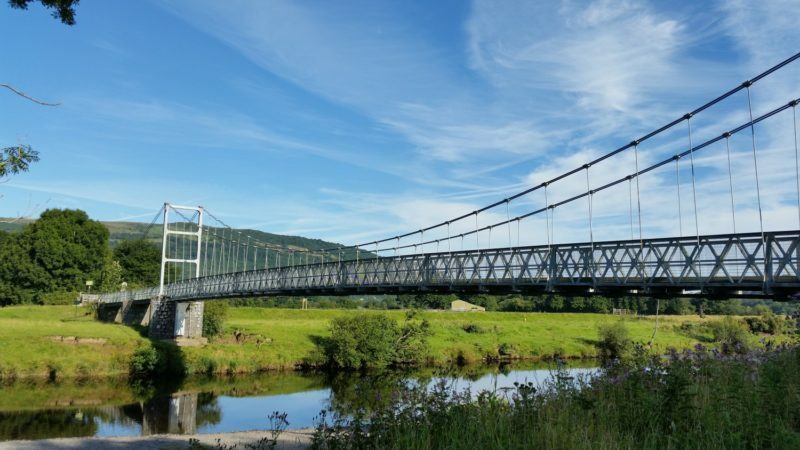 Enjoy the magnificent scenery of the Conwy valley and Gwydir forest, and discover some of our “hidden gems” – those special places, and their history, that only locals know much about. In the company of well-known cultural historian and archaeologist, Ken Brassil, learn how these ancient places reveal and illuminate the historical links between our yesterday, today and tomorrow. A family-based (although everyone is welcome) activity walk. 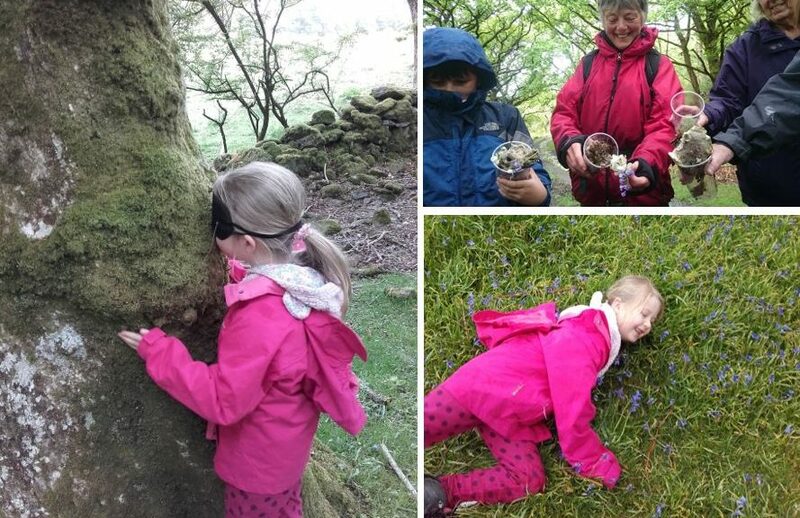 We will walk up from Trefriw past the Fairy Falls, following the Afon Crafnant into the beautiful bluebell-filled fields and woods of the Crafnant valley, where amongst many other things we will scavenger hunt, forage for wild food (your chance to munch on Ramson’s and dine on Pignut pie), hug a tree or two, play environmental games and enjoy ourselves. The exact structure of the day and the focus of the activities will depend on the group demographics … and the weather. Grade: Easy/leisurely. The walk will not be strenuous and will mostly follow good paths, but at times we will at move away from paths and tracks onto rougher ground so suitable footwear is required. 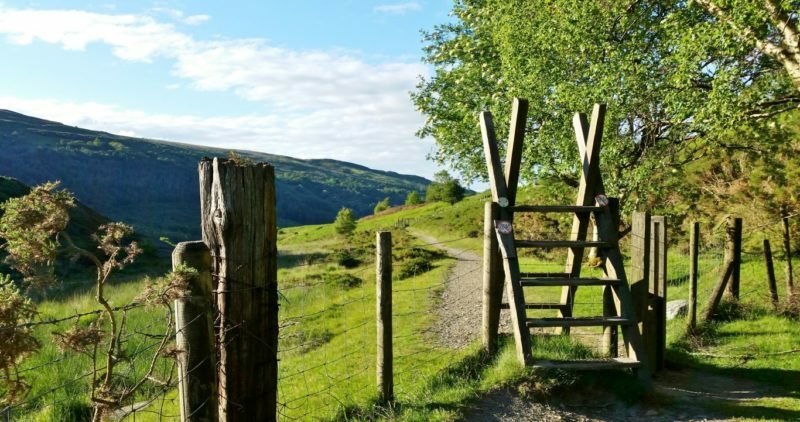 Join us for the walk that attracts many visitors to Trefriw – the classic round of Llyn Crafnant and Llyn Geirionydd. From Trefriw we ascend past the Fairy Falls and onto the edge of Gwydir Forest. 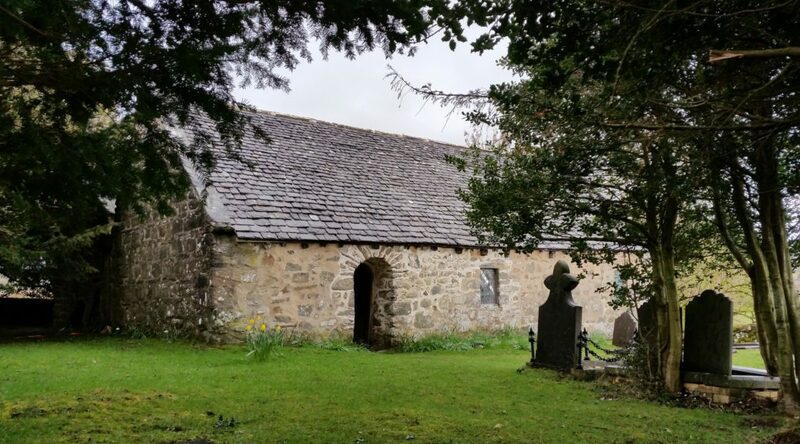 Gwydir Forest was mentioned in written texts at least 500 years ago, and we’ll certainly witness some of its history, passing old mine works, the infamous Klondyke mill and the monument to the bard, Taliesin. The views at both lakes are great. 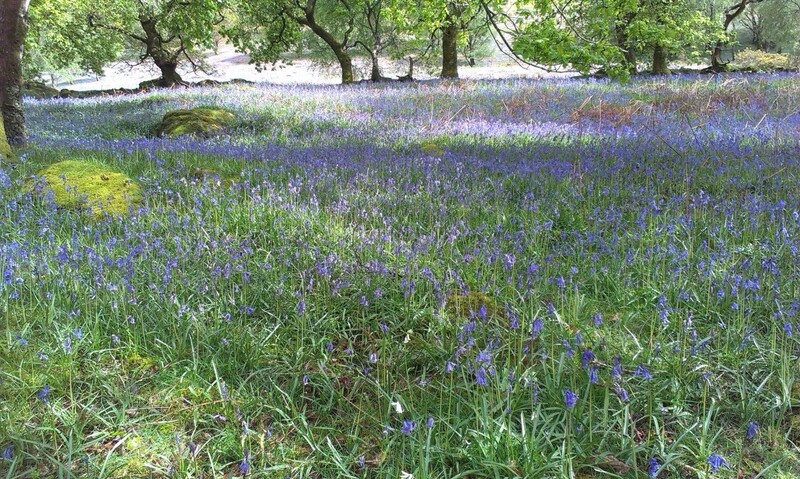 After completing our loop of the two lakes we’ll head back to the Trefriw, and if the seasons are kind to us, we’ll take in the vast and stunning field of bluebells as we return to the village. Don’t forget our now-legendary Cake Fest at 4 p.m.! 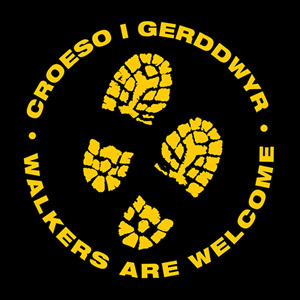 Although there is no need to book a ticket for this event, our general conditions still apply, so please ensure that you have read the terms and conditions before you attend any walks.